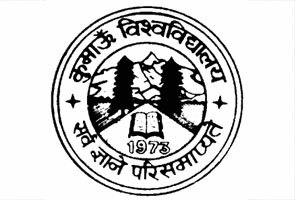 Established in 1960, Shri Guru Ram Rai PG College is one of the prestigious institutes of our country known as the finest higher education institute in Uttarakhand. 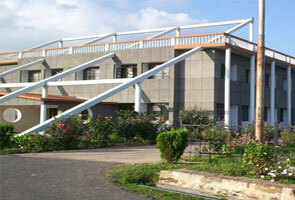 The college is situated in Dehradun but have very strong presence amongst customers. 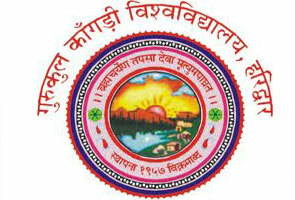 The college is the part of S G R R Education Mission and founded by Brahmaleen Mahant Shri Indiresh Charandasji Maharaj. If you’re interested in getting graduate-level education from this college then majority of subjects are here to study such as Physics, Maths, Chemistry, Botany, Zoology, Geology, Economics, Defence & Strategic studies, Statistics, biotechnology, Hindi, English, Geography, History, Political Science and Sociology. In case you’re interested in getting post-graduation level education from this college there are also lots of subjects to chose such as Physics, Chemistry, Mathematics, Botany, Geology and Zoology. For Art students Postgraduate course is available in English Literature, History, Economics, Hindi Literature, Political Science and Master of Social Work. Master in Science (M.Sc). — Physics, Maths, Chemistry, Botany, Zoology, Geology. Bachelor in Arts (B.A.) — Hindi, History, English, Economics, Political Science, Sociology, Statistics, Defense, Geography and Strategic Studies. Master in Arts (M.A.) —English Literature, Hindi Literature, Economics, Political Science, History. Bachelor of Education (B.Ed.) – The purpose of this course is basically limited to teachers training. Bachelor of Education (B.Ed) program is offered by the college which is a 1-year degree program and much in demand these days. This is the right program to choose for those customers who would like to establish their career in the field of educational, leaders, school counselors and school administrators etc. Admission of the students in B.A or B.SC will be held on the basis of their marks they’ve obtained in their qualifying examination. Candidates those haven’t secured less than 45% marks in their intermediate examination will not be eligible for getting admission to B.Sc. Part 1 and Candidates those haven’t secured less than 40% marks in their intermediate examination will not be eligible for getting admission to B.A. Part 1. Before getting admission Interested Students will have to appear in front of Admission Committee for the purpose of Interview along with their entire original mark sheets and certificates. It is also must to submit Migration certificate within one month from the date they are going to get admission.